There are many types of joints in the body including fibrous, cartilaginous and synovial joints. The synovial joints are characterized by the presence of synovial fluid within a space that encapsulates the articulating surfaces (surfaces that touch each other) of the joint. The synovial capsule reduces the friction between the bones allowing more smooth movement. There are six types of synovial joints: gliding, condoloid, saddle, hinge, ball and socket, and pivot joints. Gliding joints allow for smooth movement in several directions along a plane or other smooth surface. The articulation is like two plates sliding across each other. An example would be the carpal bones of the wrist, which form a gliding synovial joint. 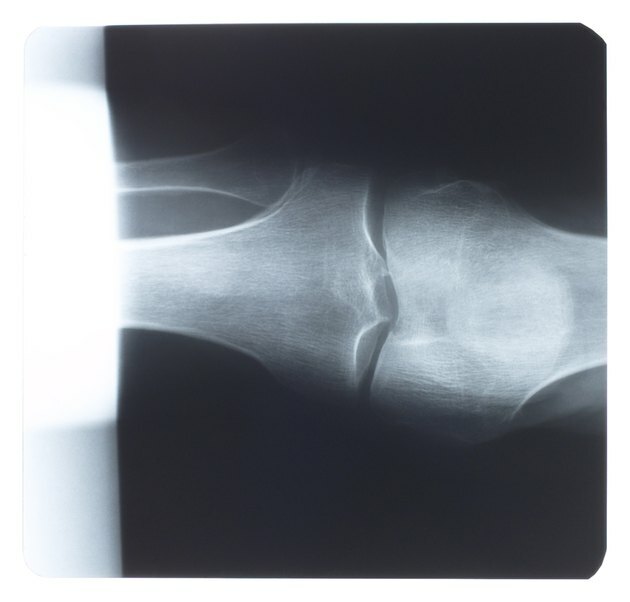 Similar to gliding joints, condyloid joints are somewhat different in that they have an irregular surface where the bones move past one another. This type of joint is like two bowls nested together. The radio-carpal joint of the wrist is an example of a condyloid synovial joint. Saddle joints are characterized by two bones that fit together in a manner similar to a rider in a saddle. This sort of articulation allows bending motion in several directions without sliding. The carpal-metacarpal joint of the thumb is an example of a saddle synovial joint. Hinge joints, as the name implies, are hinged joints formed between two bones. A hinge joint allows for stable flexion and extension without sliding or deviation. The elbow joint between the humerus and ulna is a hinge synovial joint. Ball and socket joints allow for stable movement in several directions without slippage. Like a saddle joint, the ball and socket joint allows bending in several directions without slipping, creating a highly stable, strong joint. The hip joint (femur-acetabulum) is an example of a ball and socket synovial joint. A pivot joint is a joint in which rotational motion occurs without gliding movement. This type of joint allows for turning motions without sideways displacement or bending. The joint between the first and second cervical vertebrae (atlas-axis) is a pivot synovial joint and allows for most of the head's range of motion while maintaining the stability of the head on the neck.